The film is about a comedy of trios revolving around three friends Feddy, Koki and Teli, stupid by nature and cursed by luck. 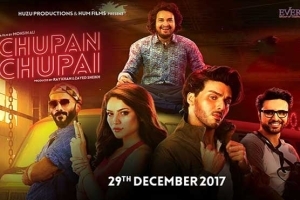 Their lives take a chilling turn when they cross paths with Babu (Ahsan Khan) and his alter ego, Pari. Together they knit a smart kidnapping plan to abduct someone wealthy and demand a huge ransom. This takes an unexpected turn when the son of a Minister ends up in their custody and the task to find the kidnappers is given to encounter specialist, Chaudhry. Babu and his gang try to stay ahead of the cop, leading from one comic satiation to another.